Benjamin Foulois, courtesy of Emilio Torres. Kelly Field traces back its roots to 1909, the year in with the U.S. Army decided to relocate its first flying center from Fort Myer in Virginia to Fort Sam Houston, Texas. In 1910, Lieutenant Benjamin D. Foulois, who had trained with Orville and Wilbur Wright and was at the time the only U.S. military officer with flying experience, took charge of the relocation to San Antonio. With several men and “Aeroplane Number 1” in tow, which over the course of several months would undergo various test flights and crashes, Foulois would establish a small hangar and drill field at the Fort. 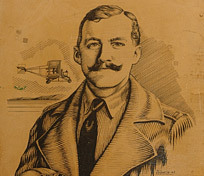 Foulois would go on to conduct many experimental flights near the U.S. Mexico border between Laredo and Eagle Pass (including a crash-landing in the Rio Grande, from which Foulois and his copilot Philip Parlamee escaped unscathed). 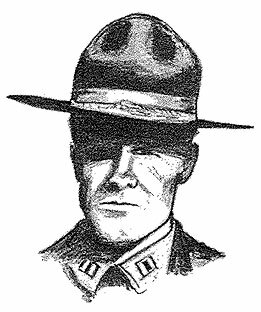 Lieutenant George E.M. Kelly by JS Garcia, courtesy of Kelly Elementary. In February 1911 the Army purchased five additional aircraft. 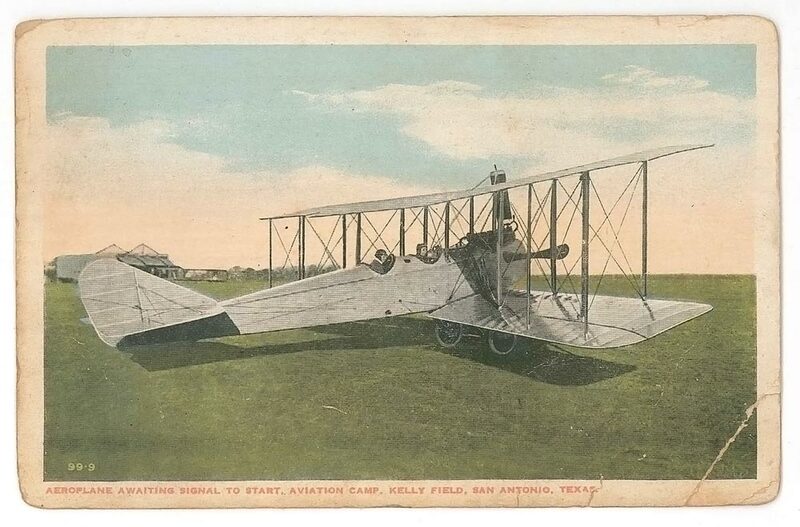 These airplanes arrived in San Antonio in May, accompanied by three other Army flyers who had trained in California: Pawl W. Beck, John C. Walker and George E. M. Kelly. They joined Foulois in running the budding military aviation school. Flying continued to be a relatively dangerous endeavor, with a number of near-misses and crash landings, one of which resulted in the death of Kelly during his qualification flight, only a few days after the new aircraft had arrived. As a result of the accident, Major General William H. Carter, commander of Fort Sam Houston who had been a longtime opponent of aircraft for the military, forbade any further flying at the Fort. The Signal Corps ordered all aircraft and personnel back to College Park, Maryland, putting a halt to military aviation in San Antonio for the next four years. As part of this effort, Foulois, now a Major, returned to San Antonio to form two new aero squadrons and create an aero supply depot. It was quickly apparent that Fort Sam Houston had inadequate space for additional flying operations, especially with newer and more powerful aircraft. On November 21, 1916, Major Foulois, with the support of the San Antonio Chamber of Commerce, selected a site five miles southwest of the city for a new aviation airfield. Bordered by the Frio City Road on the northwest, the site was also adjacent to the Southern Pacific Railroad, providing easy access by road and rail. In addition, the new site was relatively flat, and thus suitable for flying operations. The location selected by Foulois and Scriven for the new Kelly site was located away from large structures and population centers, so as to minimize the chances of aircraft accidents. The original tract of land comprised about 677 acres and was leased at the annual rate of $11,400, with an option to buy.3 A one-year lease of the land was executed on January 11, 1917, authorized by the War Department. Furthermore, U.S. Senator Morris Sheppard of Texas led an effort to secure long-term funding for leasing and ultimate purchase of the land. Local businessman Ernest Koerner won the first contract, in March, 1917, to clear the land between Frio City Road and the GH & SA Railroad right of way. He also won the contract to build the first permanent buildings in the new field, which included six concrete and steel hangars (as it happened, Koerner was one of the few people at the time with experience building hangars, having built two in 1915 at Fort Sam Houston)4. Later that month, the new 3rd Aero Squadron was permanently stationed at the new aviation field. World War I era biplane. Courtesy of Wings over the Alamo. 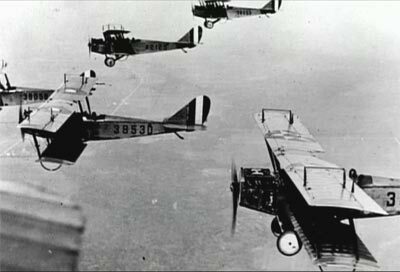 On April 1917, one day before the U.S. entered World War I, four aircraft landed at the field to begin flying operations. By the end of May, the field’s population had grown to over 4,000 men.4 It was soon apparent that the site Foulois originally had chosen was too small. Although the first six steel hangars were already constructed, most aircraft were housed in tent hangars. Barracks and mess halls for the recruits flooding into camp were the first priority. But even so, thousands of men lived in “tent cities,” which sprang up on the field. By this time, Kelly consisted of thirty small tents, three officers’ barracks, and three barracks for enlisted men. This prompted the San Antonio Chamber of Commerce to quickly lease another thousand acres immediately to the north and offer it to the Army. Eventually, 326 aero squadrons were formed at Kelly during World War I, with all but twenty of these moving to other installations in the U.S. or overseas. Kelly instructors trained over 1,500 pilots, almost twice the number trained at the next most productive facility. 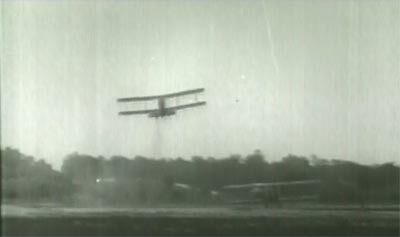 Furthermore, thousands of men received training at the Air Service Mechanics School, founded in October 1917, while others went through the school for cooks and bakers or assisted in the organization of the Aviation General Supply Depot (which moved to Kelly Field from downtown San Antonio in June 1918). Kelly Field served as the first reception and classification center, testing thousands of recruits before assigning them to specific jobs and squadrons for training. After the Great War, hundreds of small flying fields throughout the country were shuttered and supply and aviation repair depots began their first-ever consolidation. Kelly was one of the few that remained open, and in 1921 it absorbed the activities of the aviation repair depot in Dallas. 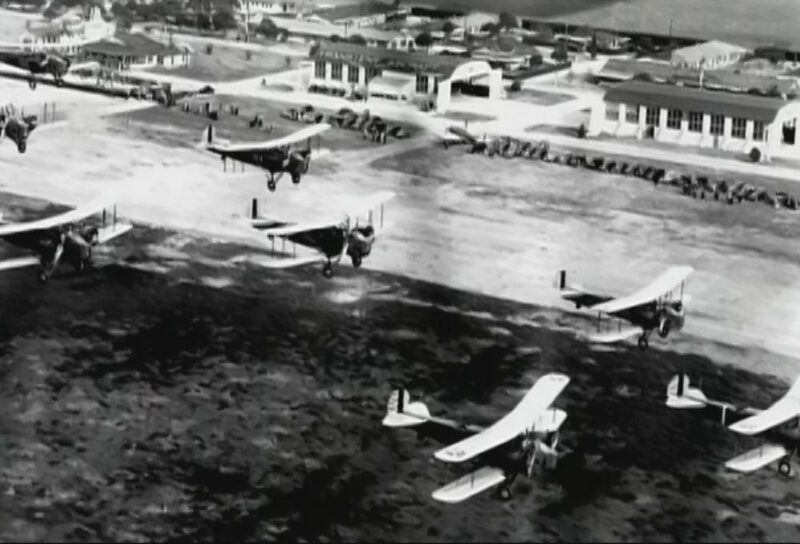 Kelly Field continued to be the site of important advanced skills training as well, and in the 1920’s it graduated some of the world’s legendary pilots, including Charles Lindbergh and Major General Claire Chennault. 1. Freeman, Martha. Historic Context for Kelly Air Force Base: Kelly Air Force Base, An American Flying Field and Air Depot, 1917-1946. Date Unknown. 2. San Antonio Air Logistics Center Office of History, Kelly AFB, Texas. A Brief History of Kelly Air Force Base. San Antonio, June 1993. 3. McGaffey, Edna S. History of Kelly Air Force Base, Texas (Including Duncan Field) from March 1917 to August 1955. SAAMA Information Services Office: San Antonio, TX, Date Unknown. 4. Manning, Thomas A. A History of Military Aviation in San Antonio. San Antonio, September 2000. © 2016 Port San Antonio. All rights reserved. Subscribe to receive occassional announcements and invitations. We promise to never spam or share your information. Ever.